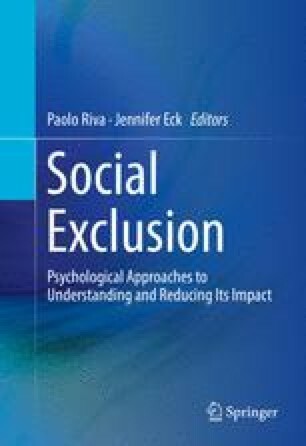 In this chapter, we give an overview of research on strategies that help cope with or buffer against the negative psychological consequences of social exclusion. Coping strategies are utilized after the individual has shown reflexive responses to social exclusion (e.g., need threat, negative affect) and should facilitate psychological recovery. Specifically, coping strategies help prevent maladaptive reflective responses to social exclusion such as social withdrawal and aggression by restoring basic needs satisfaction and improving mood. As social withdrawal and aggression are more likely to occur in response to social exclusion when no affiliation opportunity is available or the prospect of social acceptance is low, we focus on coping strategies that can be utilized in such situations, namely reminders of social bonds, social surrogates, and turning to religion. In contrast to coping strategies, buffering strategies are utilized prior to or at the onset of an exclusionary episode and are intended to mitigate or prevent the reflexive responses to social exclusion. Until recently, research findings suggested that reflexive responses to social exclusion are resistant to change. In this chapter, however, we suggest and empirically substantiate the psychological resource hypothesis, according to which strategies that help build up strong psychological resources, such as belonging, self-esteem, control, and meaningfulness, may prove effective as buffers against the reflexive responses to social exclusion. The buffering strategies discussed in this chapter are social companionship during the exclusionary event, belonging to a majority, thinking about money, and visualizing oneself in a powerful position. Bureau of Labor Statistics. (2015). The American Time Use Survey. Retrieved from http://www.bls.gov/news.release/archives/atus_06242015.htm. McCourt, A., & Fitzpatrick, J. (2001). The role of personal characteristics and romantic characteristics in parasocial relationships: A pilot study. Journal of Mundane Behavior. Retrieved from http://mundanebehavior.org/category/issues/issue2-1. WIN/Gallup International. (2015). Losing our religion? Two thirds of people still claim to be religious. Retrieved from http://www.wingia.com/en/news/losing_our_religion_two_thirds_of_people_still_claim_to_be_religious/290/.